Tag - New Feature Added  | Team OS : Your Only Destination To Custom OS !! First of all Sorry for inconvenience because of Site Maintenance, We are back now and Live to worldwide. What Is TAG & Use? A Tag means: it is used to tag a thread with some keywords. however it helps in search system of forum as threads can be searched by those tags, use similar keywords to yours thread topic and when anyone search for thread they can easily find yours topic when they're so similar to yours given tags. Also you may tag all of your previous threads, Edit them and use the new function to add tags. Use Atleast 3 Tag's Per Thread. Define Proper Tag's it will help user find your thread easily. 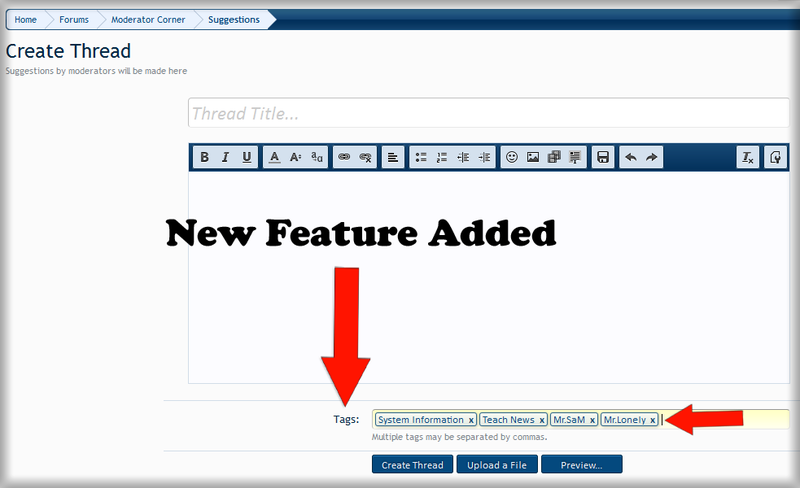 Use Tag's Which Matches your thread title and description. Wrong tags Can Make your thread unsearchable. Update Your Old threads With Tags to Make them Better For Search. Try To Have Unique Tags. Seperate Tags Using "," Without Semicolon. Thanks To @Mr.Lonely for this new feature and few other upgradation. Well Said , i Hope everyone will use this feature in all their upcoming threads. but, in the search option, we should also add a feature which says "Search by Tags"
That was implemented with default search , so no need of seperation. Tags can be searched by that old search system. Kindly Read If You Still Don't Know About This Feature. Thanks for all the hardwork you guys do here! I would definitely use this feature this is awesome feature thanks Mr. Sam. Great innovation and i like such additions to the forum.Full Marks to admin & company for this effort. Looking forward for such in future as well. Thanks for all the effort here. Great place to be thanks so much. You guys are fantastic........love your site!! !